The Mongolian gerbil (Meriones unguiculatus), which also occasionally is known as the Mongolian jird, is a tiny and furry rodent that originally comes not only from Mongolia, but also from Russia and China. 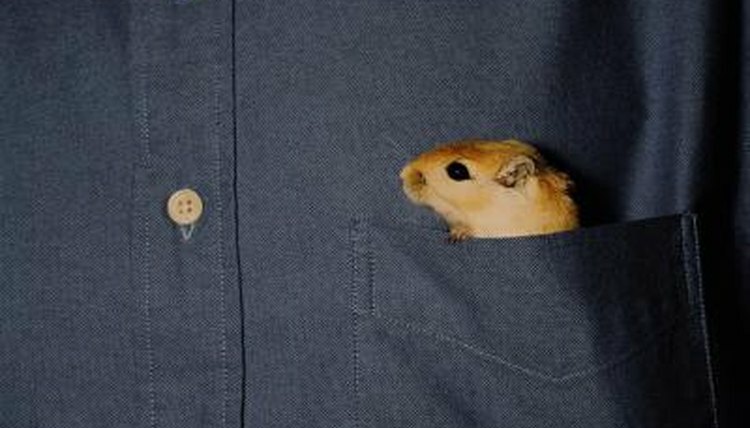 Mongolian gerbils often are kept as beloved household pets, but also are found frequently in natural environments, as well. Mongolian gerbils are burrowing creatures that possess pale brown fur and light grayish underbellies. They generally grow to body lengths of just under 5 inches or so, indicates Animal Diversity Web for the University of Michigan. Their tails often match the lengths of their tiny physiques. Females usually are just a wee bit smaller than males. Their skin is pinkish to whitish in coloration. Free roaming Mongolian gerbils typically reside in arid desert or steppe environments. They also occasionally live in grasslands and montane valleys. The Mongolian gerbil natural diet is full of grasses, such as lyme grass and bristle grass. These food hoarding animals also often feed on other green sustenance, such as mugwort and saltwort. Other components of their diet are roots, seeds, desert vegetation fruits, bulbs and grains. Once in a while, they even feed on bugs. When it comes to saving precious H20 levels within the body, Mongolian gerbils are masterful. This is a result of two things -- the passing of extremely dry stools and the expelling of urine that is extremely condensed. Mongolian gerbils also get a lot of their hydration thanks to the various forms of vegetation they consume regularly. For Mongolian gerbils that do not live in natural settings, seed blends are the way to go, food-wise. It is important to read all product labeling closely for commercial blends, however. If the products do not specifically mention gerbils, they are not appropriate for the little guys. These blends usually are made up of various elements, such as grains, pellets and even dehydrated veggies. If given in moderation, occasional treats also are acceptable as parts of a Mongolian gerbil diet, whether apples, carrots or broccoli. Although fresh vegetables are suitable as "once a day" treats, fresh fruits are necessary with less frequency. Do not allow Mongolian gerbils to consume fruit more often than three times a week or so, and always keep portions tiny. Always get the expert opinion of a veterinarian before feeding any vegetables or fruits to gerbils -- some of them can be hazardous to these little rodents. Lastly, make sure always to pick up quickly any uneaten fruits and veggies out of your pet's cage. Spoiled food consumption is a serious "no no" for gerbils.